Mobile devices are becoming a key platform in marketing strategies to deliver integrated and effective communication campaigns. This was the key message at the recently held Mobile Media Advertising Opportunities Forum in Lagos organised by MTN Business, the business-to-business unit of MTN Nigeria, in collaboration with InTarget Africa. Mr. Lazarus Muchenje, CEO, InTarget Africa, highlighted the business imperative for brands and marketers to adopt mobile advertising as a cost-effective means of reaching a profiled target audience and deliver comprehensive and watertight integrated marketing communications plans on a budget-friendly platform. In a world where more and more of our daily critical activities are increasingly done on the go, mobile devices have emerged the next viable platform which today’s marketing professionals interested in delivering effective integrated marketing communications campaigns can no longer afford to ignore or leave out. 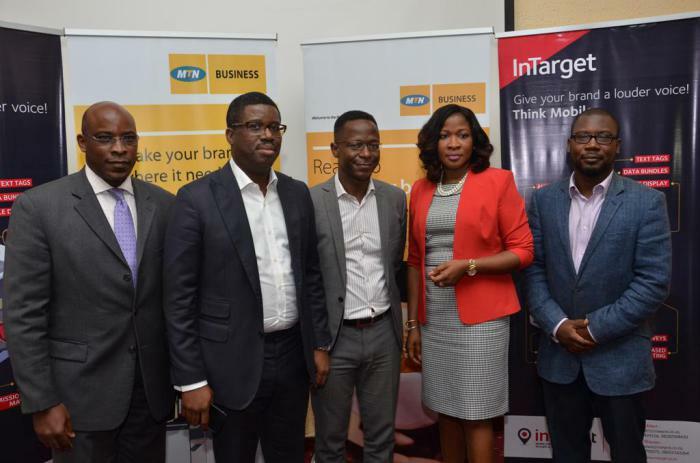 This was the key message that came across at the recently held Mobile Media Advertising Opportunities Forum, organised in Lagos by MTN Business, the business-to-business unit of MTN Nigeria, in collaboration with InTarget Africa. The forum further highlighted the value of the MTN Mobile Ads service, which offers advertisers and brands an opportunity to connect directly with mobile phone users. The service includes an array of channels that can be mixed and matched to create different levels of engagement. Speaking at the forum, Mr. Tsola Barrow, acting Chief Enterprise Solutions Officer, MTN Nigeria, described mobile advertising as a targeted and effective engagement platform, adding that the MTN Mobile Ads service offered a world of opportunities, in addition to the benefits associated with other traditional means of advertising. “This service leverages the combined potential of the mobile phone, the world’s most personal device, and the largest family of mobile subscribers in Nigeria to provide new ways for businesses to engage customers. MTN Nigeria is committed to adding value to lives and helping to drive the growth of Nigerian businesses by delivering tailor-made, productivity-enhancing solutions to every part of this vast country,” Mr. Barrow stated. In his presentation, Mr. Lazarus Muchenje, CEO, InTarget Africa, highlighted the business imperative for brands and marketers to adopt mobile advertising as a cost-effective means of reaching a profiled target audience and deliver comprehensive and watertight integrated marketing communications plans on a budget-friendly platform. “People look at their mobile phones an average of one hundred times every day. Everything is gravitating to mobile, even as the mobile phone has become a lifestyle tool. Using mobile, we monitor our health, buy products and move money around. Advertising naturally becomes the next frontier on mobile,” Mr. Muchenje said. Attesting to the effectiveness of the MTN Mobile Ads service, Mr. Dayo Elegbe, CEO, Sponge Group, said that after taking the decision to use the service, he was overwhelmed by the positive response he got from clients. “The response and demand for products yielded high results and delivered great value for the amount we had spent,” stated Mr. Elegbe. The increasing use of mobile devices continues to open new business possibilities for advertisers. The MTN Mobile Ads service creates advertisements that are designed specifically for mobile users and provides brands and organisations with a platform to directly engage with their target audience, while optimising advertising budget.